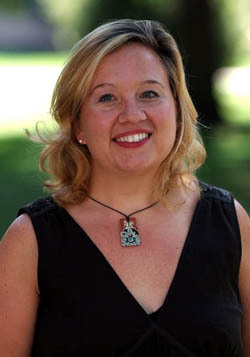 Dr. Bonnie Smith Whitehouse, professor of English, will be publishing Afoot: Groundwork for Creative Walkers with Clarkson Potter, an imprint of Penguin Random House. Afoot is an interactive journal designed to unleash the power of walking for creativity, well-being and adventure in the digital age. Smith Whitehouse’s book is inspired by her experience teaching a BELL Core Interdisciplinary Learning Community Course, The Adventures of Writers Who Walk, a course paired with Dr. Holly Huddleston’s Health & Fitness Concepts.